Fiddler usually works out of the box, with a few exceptions. One of those exceptions is capturing traffic from a JVM. Capturing HTTPS traffic (of course, to view it unencrypted in Fiddler), is slightly more involved. Here’s how to do that. Click on Tools -> Fiddler Options… to open the Fiddler Options dialog. Switch to the HTTPS tab, and click on Export Root Certificate to Desktop. This will generate the file: FiddlerRoot.cer on your Desktop. 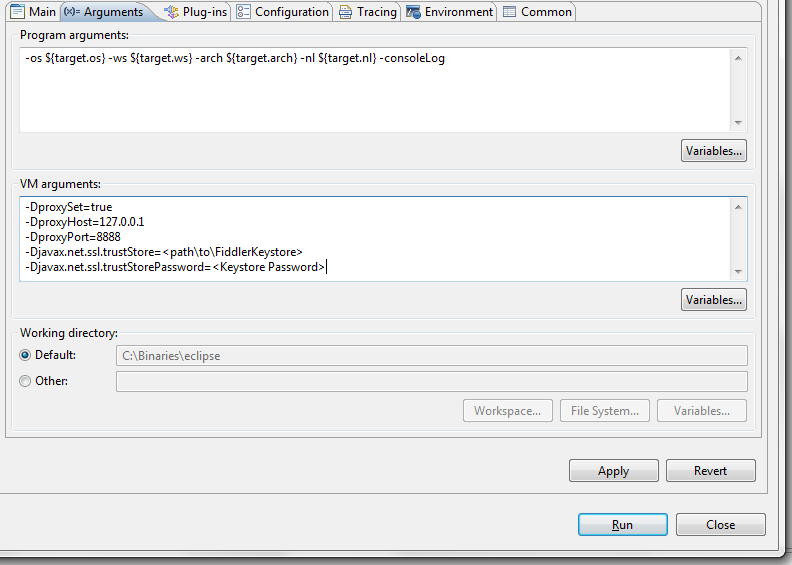 This step will require Administrator privileges (since keytool doesn’t seem to work without elevating privileges). So, open command prompt as Administrator, by right clicking on the Command Prompt icon, and clicking on Run as administrator. This will prompt you to enter a password. Remember the password, as it’s required for the next step. Once a password is entered, this’ll create a file called FiddlerKeyStore. Remember the path to this file, as we’ll be using it in the next step. You can, of course, move it to a more convenient location and use that path. That’s about it. 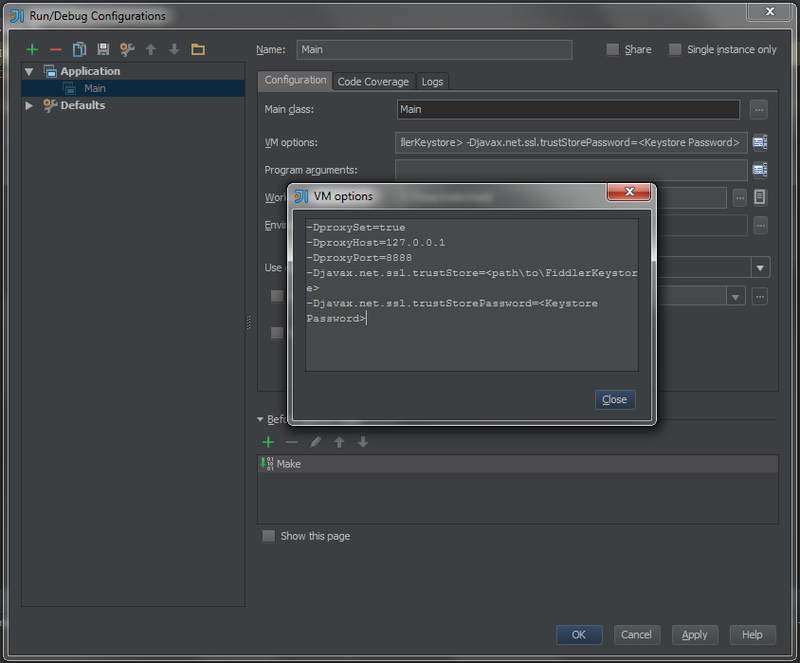 Now, launch Fiddler, and launch your JVM (your Java application). 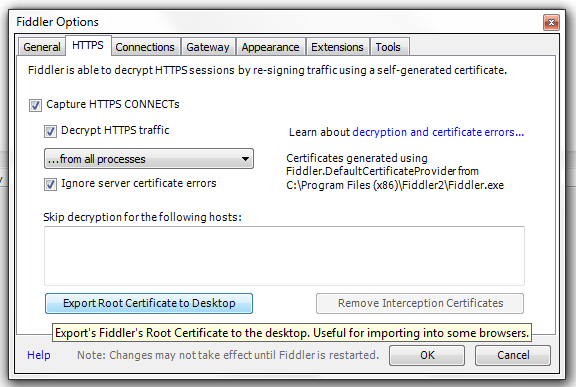 Fiddler will start showing all HTTPS (and HTTP) traffic from the JVM in plaintext.